I have just updated the website and continue to do so. Please check out the website for new content over the next month. I have finally had the chance to upload pictures, do write-ups and continue to add to the website. The website has more information on each location as well as a wide variety of photographs that never made it on the blog. As usual the blog will continue to be updated as much as possible. This is a very busy year for me so I am not able to get out and do photography as much as I would like. If you have any comments or questions feel free to contact me via e-mail (vanishedcompass@yahoo.com) or leave me a comment on this blog. I have searched for this house for years. I know approx. where it was but could never find it. Well this year I made it my mission to locate it. 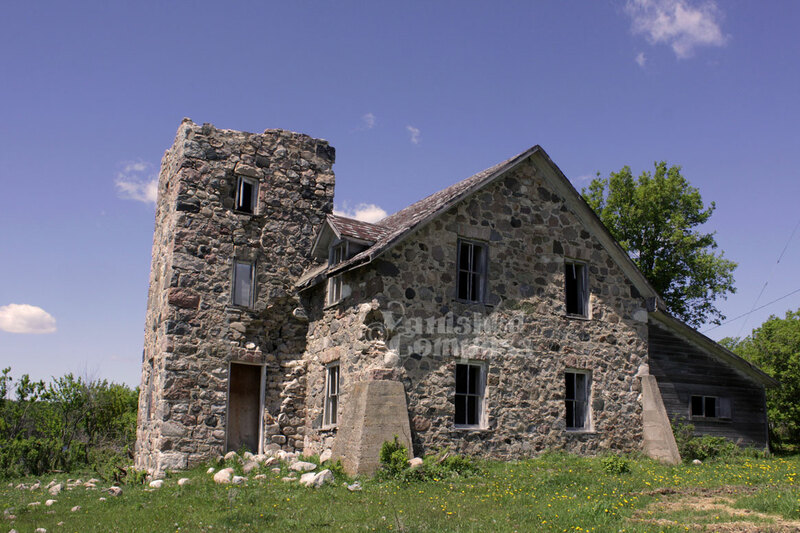 Not only did I find this farmhouse, I also gott approval from the owners to photograph this fantastic farmhouse. I was not disappointed. This beautiful stone castle is built beside a small lake and is over a 100 years old. Its unique architecture built in field stone is one a kind on Saskatchewan.